In my book, The Next Great War in the Middle East (hereafter, NGW) I argue that one of the principal reasons that theory of the Islamic Antichrist (competently proposed, well defended, and successfully promoted by Joel Richardson) fails to be compelling in my judgment, is that it does not adequately address the place of the United States and Russia in the last days. It bypasses geopolitical realities. 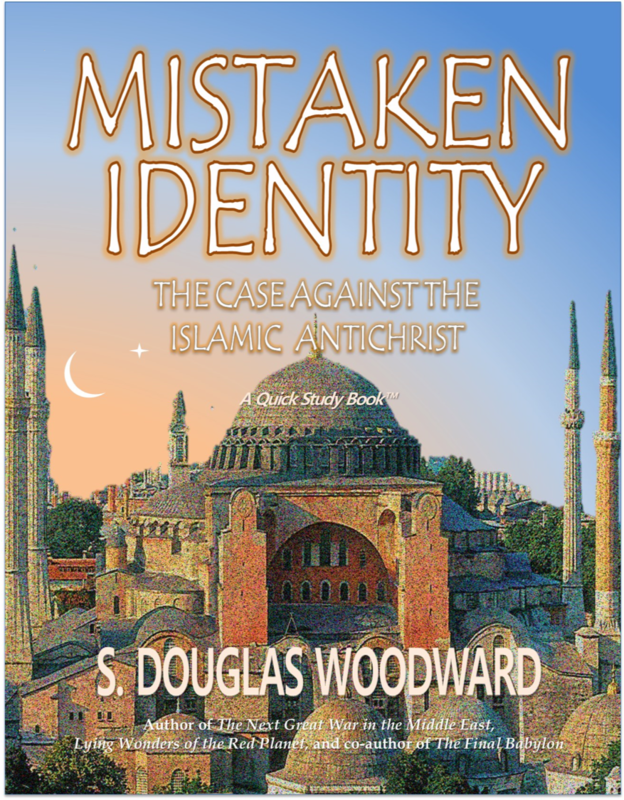 The theory sees Turkey as the dominant Islamic nation leading the alliance of many nations against Israel. However, for this to happen, Russia and the United States would have to be inoperative. That isn’t likely. The epigraph above from Berner encapsulates the main point of that issue. Brother Joel (who I happen to consider a friend) argues that Turkey is the “heavy” in the last days (not Russia), that the Gog/Magog War is the same war as Armageddon, and Gog is the same person as the Antichrist. Of course, I have argued differently in my books and presentations. 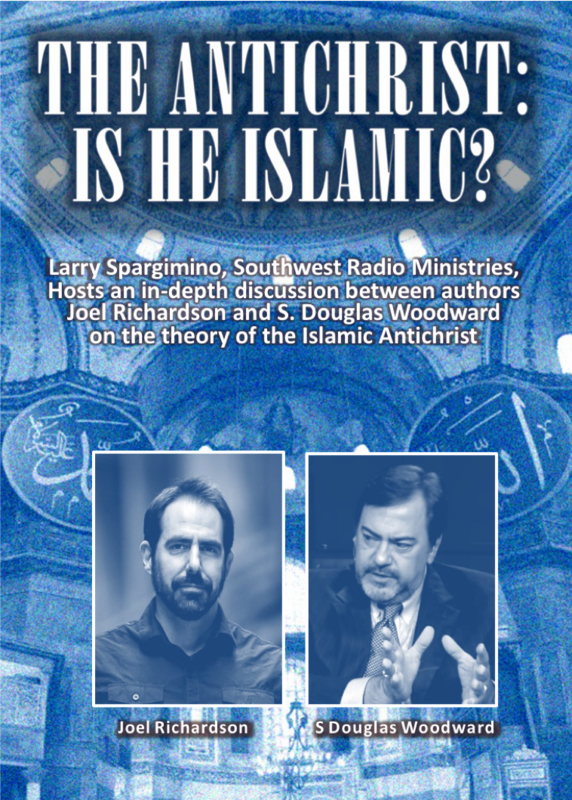 Joel and I have even done a friendly debate on the subject with Larry Spargimino on Southwest Radio Church (see video offer) some time ago. I assert one point central to the topic remains and must be addressed: Whether Ezekiel 38-39 references Russia. The matter is vital to rightly interpret this priority passage on the last days if we see either point of view to be conclusive. It isn’t conclusive. Both perspectives are supported by Scripture, scholars, and the broader argument of how to interpret Bible Prophecy. Having said that, the matter remains worthy of careful scrutiny for the student of prophecy. In this article, which is derived from chapter nine of NGW, I want to focus on the justification for why Russia’s presence in Ezekiel’s prophecy possesses solid support from numerous scholars that I happen to agree with. To be sure, Joel and I both cite scholarly sources. He relies heavily on Daniel Block (“Mr. Ezekiel”) who argues confidently against Russia’s mention. I can’t contradict an expert like Dr. Block. But I can cite other worthy sources who disagree with him on the text. And I can challenge his perspective (and Joel’s) based on other pertinent factors. Regardless, the issue of interpreting the passage from Ezekiel boils down to the precise translation of a single word thrice present in those two chapters. Indeed, if only one word were selected that comprises the greatest controversy in the passage of Ezekiel 38-39, it would be the Hebrew word transliterated rô’sh. This discussion in this section becomes a bit technical, but the implications are so significant that we must take the time (and muster our concentration) to dig into the original language, sentence construction, and use of adjectives and nouns. As the title of the article suggests, we have to move through the topic methodically. We can’t rush to judgment or forgive the pun, we shouldn’t be “Russian” to judgment. For instance, the New American Standard Bible (NASB) uses rô’sh as a name but notes that rô’sh could be translated “chief Prince of Meshech.” The King James instead uses “chief” as in “O Gog, the chief prince of Meschech and Tubal” in all three verses where rô’sh pops up, Ezekiel 38:2, 38:3 and 39:1. And we must admit the term rô’sh is used many times as an adjective in the Old Testament where it means chief, leader, or head. Nevertheless, translators have always been cautious about insisting on the proper translation. They recognize it is tricky. For instance, the compilers of the King James Version, hundreds of years ago, added a marginal note pertaining to this phrase implying that “the chief prince of” could be rendered “prince of the chief.” Chief would, therefore, be a noun in such a translation. If a noun, is it a person, place, or thing? This KJV note acknowledges the legitimacy of the rendering “prince of Rô’sh.” Is this justified? Absolutely. We can’t be dogmatic as scholars sometimes are. But the case for “Russia” is strong. Let’s take a careful look at this issue for it is pivotal to properly interpret one of the most important passages in all of Bible prophecy. The issue is whether in this special instance wherein the text rô’sh is combined with another Hebrew word transliterated, nâsî’, the word should be seen as a proper name or a predicate adjective. Going back to our grammar school training, the predicate is something describing an attribute or characteristic of the noun. In the construct, “chief Prince” the Prince isn’t just any prince but is the “chief” Prince. The words could be rendered, “chief (predicate adjective) of the Prince (noun). Or, Prince of Rosh (where rô’sh is a noun and not an adjective). Which is it? Either case can happen in Hebrew as it does in English or other languages. Consequently, is the Hebrew “nâsî’ rô’sh” properly translated “prince of Rô’sh” or “chief prince of Meshech?” If the latter, it would be like other passages in the Old Testament where we see the two words combined as in “high priest.” If the former, it would be like “Prince of Persia” (two nouns, one which clarifies the other) in the Book of Daniel (at least in English). “Son of man, set your face against Gog and the land of Magog, the ruler of Rosh, Meshech, and Tubal, and prophesy against him, and say to him, ‘Thus says the Lord and Master: “Behold, I am against you, O Gog, and the ruler of Rosh, Meschech, and Tubal.” (Ezekiel 38:2-3, LXX from The Orthodox Study Bible). Jon Mark Ruthven asserts rô’sh is the name of a place and states unequivocally “It is clear that the LXX [Septuagint] knew of a nation called Ρως”(ROSH).”  In the second installment of this discussion, I will pursue the historical precedents for Rosh pointing out that ancient literature gives additional support to the LXX’s choice of Rô’sh being a name for a people or nation. We should also make note that the early German versions employed the same approach as the LXX. Rô’sh was considered a noun referring to a place or a people. In 1885, the Revised Version in England also used “Prince of Rosh” – again, this indicates their preference was to translate rô’sh as a noun, meaning a place or a people(or both). Thus, while controversial, there is a long-standing tradition of using rô’sh as a proper name long before the Scofield Bible was published in 1909 (Joel makes this point central, no doubt because the traditional view was not upheld by the KJV and Scofield made the “Russia” interpretation popular.) However, we must make note that Joel’s position hinges on Gog being Islamic and Gog being one and the same with Antichrist. Hence, ruling out Russia by “dissing” the translation of rô’sh as Rosh(in Scofield) is an unfair assessment. Additionally, Joel could be accused of being unfair here since “Russia being Rô’sh,” contradicts his overall argument. Still, to be fair to Joel, there are other worthy champions for his position, besides Daniel Block, which should be considered. SIDEBAR: Dr. Heiser responded yesterday to my post reinforcing once again his objection to this exegesis, pointing out that there is a grammatical rule, that in his (much revered textual scholar) opinion, is conclusive regarding the two Hebrew words, rô’sh nâsî placed back-to-back in the Hebrew text in Ezekiel 38:2 and two other places in Ezekiel 38-39. He shared that the two nouns are in the “construct state” (one of three states in Hebrew). This would imply, of course, that the Septuagint translated the word pair incorrectly from Hebrew into Greek. That is certainly possible. The origin and skill of the Septuagint translators are not known except through the potentially legendary “Letter of Aristeas.” Dr. Heiser also indicated that a people or nation known as “the Rosh” were not known at the time of Ezekiel or its penning. I will address this point in the next article. There is a strong argument that there was awareness of such a people or place even in Ezekiel’s time (IMHO). Of course, given the discussion in the first half of my book, NGW, a reference to Cold War Russia might not be an anachronism at which we should scoff. Certainly, any passage in the Bible that merits strong but opposing viewpoints demands we consider both positions as potentially true – one or the other will prevail at some point yet future. Berner follows Heiser’s argument on linguistic permutations and vowel markings of ancient Hebrew, noting, for instance, that the Talmud concluded rô’shwas a modifier of Prince and not a name. The study of the word rô’sh as used in the Old Testament indeed is a rich one, to say the least. However, on this aspect of the discussion, I agree with Berner’s assessment that Heiser’s polemic although well argued, scholarly, articulate, and compelling (and despite the fact that Dr. Heiser knows Semitic languages and I don’t), in my judgment his textual insights still do not cinch the argument. For there have been a large number of Hebrew experts that have disagreed. (Citing other experts is the only recourse I can muster to respond to Dr. Heiser). Mark Hitchcock and Thomas Ice, who are proponents for Ezekiel’s usage of Rô’sh as the name of a location or people (and not an adjective or noun modifying another noun), provide perhaps the best summary of the issues to satisfy our study. I will shorten Berner’s recap of their common position. Eminent Hebrew scholars C.F. Keil and Wilhelm Gesenius both hold that the better translation of rô’shin Ezekiel 38-39 is a proper name referring to a specific location, region, or country. The Septuagint (LXX), translated only three centuries from Ezekiel’s writings, translates rô’sh as the proper name Ros. Jerome’s Vulgate (the Catholic Bible) mistranslates rô’shand many modern versions follow his lead down a mismarked path, making it an adjective instead of a proper noun. There are many Bible dictionaries and encyclopedias which, in their articles on rô’sh, take the position that Ezekiel indeed uses rô’sh as a proper name. Examples include New Bible Dictionary, Wycliffe Bible Dictionary, and International Standard Bible Encyclopedia. Rô’sh is mentioned three times in Ezekiel 38-39. According to scholars Hitchcock and Ice, it is uncharacteristic of Hebrew to continue repeating the full title of a leader multiple times in adjacent passages. In other words, repeating “Chief Prince of Meshech” in each of the three places would be abbreviated to Prince of Meshech and the word, rô’sh or chief, would have been dropped – unless Ezekiel was wanting to emphasize the name of the guilty party, which seems highly likely in this instance, if we understand prophecy as the serious business it is – i.e., predicting the future to prove the providence and power of God. Finally, Hitchcock and Ice cite G. A. Cooke, a Hebrew scholar who translated Ezekiel 38:2, “the chief of Rosh, Meschech, and Tubal.” Cooke indicates that this is “the most natural way of rendering the Hebrew.” For Hitchcock, Ice, and Berner, the matter is just that simple. I believe God intended this prophecy to be specific enough that its fulfillment will be very clear to Israel and the world when God’s preordained time for Gog and Magog comes. However, considering the extreme length of time between Ezekiel’s pronouncement of this prophecy and its ultimate fulfillment, it does serve a purpose for the identity of the leader, Gog, and the nation which he represents, to be somewhat enigmatic. God’s prophecies are directed at an ultimate audience and a time of ultimate fulfillment, but they have to speak to and be meaningful to all of the generations of people throughout the ages between Ezekiel and a specific point at the End Times. When we consider the vast changes in the empires of the Gentiles throughout history, it is not surprising that the is prophecy was written with a series [of] internal cryptic enigmas which allow for this vast amount of change but still point to the identity of the ultimate enemies that will be involved in this invasion. Indeed, as we have witnessed over the past five years or so, the “about face” is now complete. Putin is an authoritarian – not as brutal as his predecessors, but as corrupt as any world leader and quick to put his political rivals in the Gulag in Siberia. It isn’t good to be an enemy of Vladimir Putin. 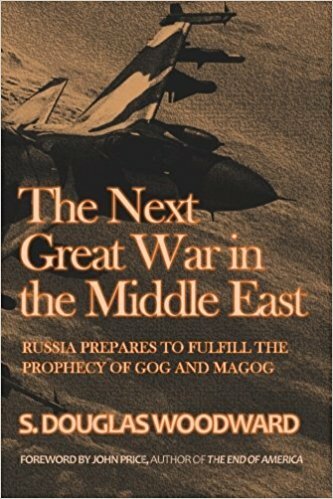 It is important for us to realize that the Bible’s prophecy in Ezekiel about the coming War of Gog and Magog is not influenced by the temporary maneuvering now going on in Moscow. The prophet Ezekiel does not declare that ‘Communist’ Russia will come down against the mountains of Israel; rather he says that “Magog,” which is Russia, will lead an alliance of nations against the Jewish state. Even if Russia should genuinely repudiate communism it would not change the fact that God has declared that Russia’s appointment with destiny will not be postponed. In short, there are two positions on the matter of the how to interpret rô’sh. Both points of view deserve respect. 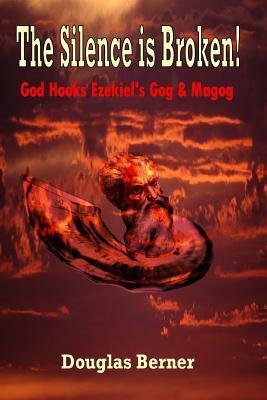 And the determination of the right meaning of the word as used in Ezekiel isn’t a slam dunk. 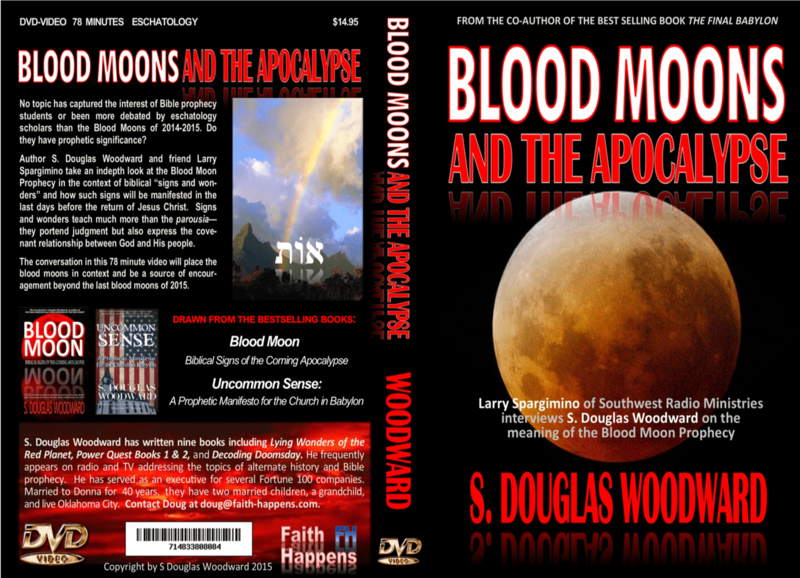 The issue of Bible Prophecy is a Scriptural study from cover to cover. Other passages lend support to one position or the other. Hence, there should be no Russian to judgment. Ibid., p. 30, citing Jon Mark Ruthven, The Prophecy That Is Shaping History, Xulon Press, 2003, p. 24. Opponents to rô’sh as a proper noun in this passage find support in the New International Version (NIV), which also made a big issue in their choice of words, and asserted it likely means “commander-in-chief” in the way we Americans use the phrase. NIV scholars go even further, making sure that no one should think Ezekiel meant any nation or people existent in the modern day. “The NIV text note gives the possible translation ‘prince of Rosh’ and if this is correct, Rosh is probably the name of an unknown people or place. Identification with Russia is unlikely, and in any case cannot be proven.”Citation from Berner, op. cit. p. 28. Berner, op. cit., pp 28-29. Citation from Heiser is from his aforementioned book, Islam, and Armageddon, p. 103-104. Comment: Heiser is truly an expert in ancient Semitic languages. However, his statement that there is no textual basis for the interpretation of Rô’sh as Russia is driven by his expertise and study on the Masoretic text (as far as I can tell). Dr. Mike may wish to challenge my assertion. I invite his comments of course (but he is a very busy guy). Ibid., p. 31, citing from Mark Hitchcock and Thomas Ice, The Truth Behind Left Behind, Multnomah Publishers, 2004, p. 50. THIS BUNDLE IS FULFILLED DIRECTLY WITH FAITH HAPPENS BOOKS LLC. PLEASE SEND AN EMAIL ADDRESS AND YOUR NAME TO DOUG@FAITH-HAPPENS.COM. WE WILL USE THE EMAIL ADDRESS FOR BILLING YOU THROUGH PAYPAL. FINAL TOTAL IS $30.00. TYPICAL PRICING WOULD BE ABOUT $60.00 COUNTING POSTAGE. THESE WILL BE SIGNED BY S. DOUGLAS WOODWARD AND MAILED U.S. PRIORITY MAIL. FIRST 25 ORDERS WILL ALSO RECEIVE THE FOLLOWING DVD FREE! TOTAL BUNDLE VALUE IS $60.00, A 50% DISCOUNT! WHAT BIBLICAL SIGNS & WONDERS ARE AUTHENTIC?